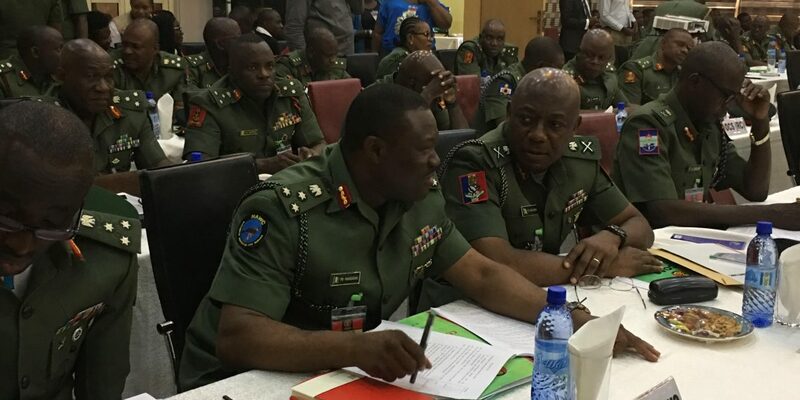 Chief of Army Staff Combined Second and Third Quartet Conference is currently underway at the Army Headquarters Command Officer mess, in Abuja, Nigeria’s capital. The conference is being attended by Principal Staff Officers from Defence and Army headquarters, operations Commanders, Commander Multi-National Joint Task Force, Njamena, Chad Commanders of Nigerian Army Training Institutions, Corps Commanders, Directors from Defence and Army headquarters and General Officers Commanding the various divisions of the Nigerian army. The conference is aimed at reviewing and appraising Nigerian army operations across the country and making amends where necessary. Also to be discussed at the 4-day conference is the issue of militancy in the Niger Delta, kidnapping, insecurity across the country violent crimes 2019, general elections among other security issues.